Pushing the Restart Button, AGAIN! I finally decided to go back to my Weight Watchers meeting last night. I'm so glad I did! There is such comfort in going to meetings. I get an energy that Iso need to get going. I think I have one of the best leaders anyone could ever want. She's there to listen and help you on the goals you want to reach, and so much more. She's such an inspiration! I really do not know what's going on with me. I do know that I have had no desire to do the program. The program will not work if you do not want to do it. So, here I am again pushing the restart button. I'm really looking forward to the program which is such a different attitude than I've had the past year and a half. So, I'm putting the past behind me and moving forward. That's basically the only thing you can do! 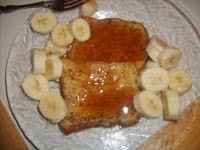 Here is what I had for breakfast and a picture is at the top. The new PointsPlus Weight Watchers program really works! I tested it for a week and truly love it! I lost 3.4 pounds. I used my weekly points and ate pizza out. There's no depriving yourself or going hungry on this plan. This is so the boost I needed to get back on track. At my Weight Watchers meeting last night, the new weekly booklet has a place for you to plan your meals for the next day. I am a big planner and I really believe planning helped me lose the weight I lost on the Flex and Momentum programs. I like to plan my meals for the week. This is just a plan but it helps guide me to eating better and having the foods available that I need. It also saves me at the grocery store because I take my plan and make a menu. I usually post those on this blog on Mondays. Last week, I read about a lot of people on the Weight Watchers message boards saying they were having a hard time planning menus with the new program. Personally, I use the same things I was eating before and just change the points to the new PointsPlus program. This week I plan to list some of my favorite meals and snack that I like to use to stay on plan. I plan my meals for my family of 6. We eat the same things. So, I use things that are kid friendly and within my grocery budget. All my kids but 1 eat breakfast at school, so I can do things I like then. Today I am focusing on Breakfast. Breakfast is one of the most important meals of the day. I always like to eat a fruit with it to get some of my Good Health Guidelines in. These are just my ideas. You need to pick things you enjoy. That's why I like Weight Watchers so much it gives you the freedom to choose! As always the ingredients you use may change the point values, so make sure you check the points based on your ingredients. 1. 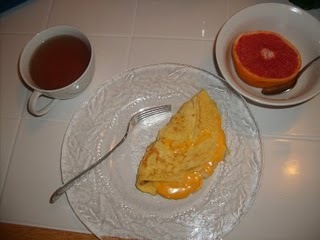 Omelets- These are so easy to make and add what you like. 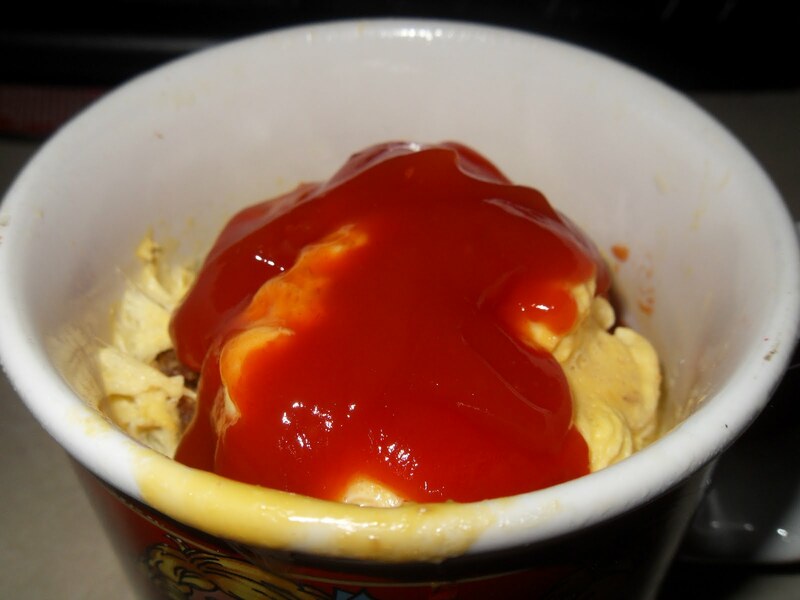 I make mine with egg beaters and I use 1/2 cup for 1 point, then I add a Weight Watcher Cheese Single for 1 pt. , I also like to have onions and mushrooms both 0 points. I also found some ham slices at Save a Lot that are 2 points for 2 slices. Sometimes I put one in the omelet and then place the other one in the hot pan I cooked the omelet in and eat it on the side. I add a fruit to this and some hot herbal tea. Right now I enjoy the Celestial Seasonings Holiday Gingerbread Spice one. A very filling breakfast that I only spend 4 points on. this also contains a lot of power foods which keep you fuller longer. 2. 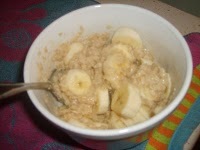 Oatmeal- I love oatmeal on a cold winter morning. I like to add cinnamon to mine. I have 1 cup for 4 points and eat a banana on the side. I also like to put things in my oatmeal to spice it up a bit and sometimes use the instant to save time. Here is one of my favorites. Apple Pie Oatmeal-Taste just like Apple Pie!!! 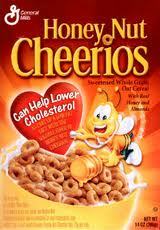 Pour the package contents in a small bowl with a dash of extra cinnamon and add about 1/2 cup of boiling water. Stir and let sit a minute. Stir in the applesauce and sprinkle with a bit more cinnamon. Here are some of my favorites"
I add a piece of fruit and 1 have 1 cup of fat free milk to get my healthy guidelines in. I drink what ever I do not use in my cereal. This breakfast usually does not keep me very full but on a quick morning that I do not have time to cook, I like it. 4. Hungry Girl Egg Mugs, these are a few I really like. 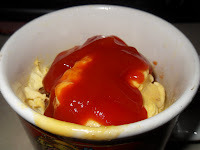 The Classic Egg Mug- I like to add veggies to this to make it more filling. There are a ton to choose from the Hungry Girl website. After you make a few you can start adding in whatever you like to custom make yours. Remember to add power foods to help you fuller. I also like to add a fruit to this meal and some herbal tea. I love pancakes and French Toast so why not fit them into my Breakfast. I use Sugar Free Syrup with mine. I also like to have fruit with them. These are usually saved for weekend meals with the kids. Whisk together Egg Beaters, milk, cinnamon, and vanilla is shallow medium bowl; set aside. Spray non-stick skillet with cooking spray; heat over medium. 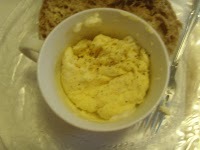 Dip bread in egg beaters mixture, coat both sides. Put in skillet and cook on both sides until golden brown. Whole Wheat Buttermilk Pancakes- I use this recipe but I don't use the butter or the maple syrup. You get 12 pancakes with 2 pancakes being a serving for 5 points for each serving. I like to double the recipe and freeze some for an easy morning. *You can do this same activity for yourself since everyone gets a different number of points and has different likes. Here's how you do it. Write down all the breakfast meals you enjoyed on the Momentum program and then find out the new point values and try to add power foods to the ones you already like. You may find that there are some things you do not like on this program anymore. I got rid of a lot of my Light English Muffins and bagel. This activity really helped me. Now I have a go to list of the foods I like and the point values when I go to plan my menus. I am starting over with Weight Watchers. I never really quit, I just gained a lot of weight back and totally lost my motivation for the program, so I need to really get back on track. Tuesday, I got the new information at my meeting on the new Weight Watchers Program, PointsPlus+. My impressions after the meeting were that this new program was really complicated, but very doable. I have now been on the new program for 2 days, today starts my 3rd. They tell you not to compare to the old program, but it is really hard because I have done that program for so long. I agree though that you MUST do that. You now get a bigger daily and weekly points allowance which seems high but then most foods are higher in points too. One of the new things is that fresh fruits and most veggies can be eaten for "free." You can't abuse this though. Yesterday I used 15 extra weekly points. They say those are in there for you to use and still lose weight so we will see. I lost a lot of weight with the Momentum program. I did however feel hungry sometimes on that program. I have not felt that way on this new program. I full fuller because I am choosing power foods as Weight Watchers calls them. I feel like I am eating more. So, I worry about am I doing it right? Will I really lose weight?, etc. But you know what, I really like the new program and feel it keeps me fuller during the day. I can't wait until weigh in day to see how well it works and how well I worked it. 3. Plan my day early for the foods I plan to eat. This really helps me stay on points. 4. Continue to keep my blog updated. Combine egg, oats, onion, bell pepper, and salt. Add beef and pineapple. Mix well. Place in a baking dish and bake uncovered at 350 degrees for 40-45 minutes or until meat is no longer pink. Top with BBQ sauce, if desired. I've been trying new things for breakfast because my old stand-bys have started becoming boring. I got the new Hungry Girl 123 Cookbook for my birthday and I plan to try some of those recipes out. Here's what I had today. Lorie's Review: This is the third mug recipe I have tried and I like how quick and easy they are to make and they are really filling. This particular one was a little strange. It was good, but there are others I like better. Menu Plan Monday May 10-16- Crockpot Week! This week, I'm pulling out my crock pot and letting it do the work for me. Hot weather has already been here in Kentucky and suppose to return to the 80's this week, so crockpotting will keep my house cooler. I am also doing a lot of microwave cooking for breakfast, this will also keep my house cooler. So, here's what's planned at my house. Go here to see more menus. I love the crock pot! I own three. I got a new one this past January. You can only get it at Walmart and it is digital. It also can be removed for serving and has a retractable cord. The lid can be secured so it will not fall off when traveling and I like that you can cook on low, high or just warm and set a timer for your foods. Here is the crock pot if you want to go check it out. It also is a fairly reasonable price. 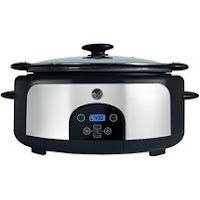 I looked and looked for a couple of months for this crock pot and could not find it at my Walmart so I ordered it through the Walmart's site to store program and got free shipping! I use the crockpot a lot with my family. It saves me from having to heat up my house with the oven, especially in the summer. I can also use cheaper cuts of meat and they come out tender and that saves me money! I also like that with most recipes I just put it in and forget it until dinner. I have several favorite recipes that my family loves and that we cook a lot in my house. 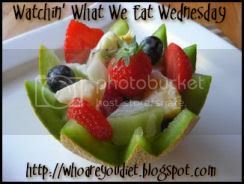 All are great if you are doing Weight Watchers or just watching your weight. Here are my favorite crock pot recipes for my kitchen. Mix all 3 seasoning packets together. Spray crock pot. Place roast in middle and surround with potatoes. Pour in 1/2c water. Sprinkle roast and potatoes with seasoning mixture. Cook on low 7-8 hours. Enjoy! Spray crockpot with non-stick cooking spray. Inside the crockpot, Combine the cooked beef, diced tomatoes, chicken broth, onion, bell peppers and tomato soup. Cover and cook on low for 6-8 hours. Warm up the rice, stir it into the soup and serve. Per Serving: 141 Calories; 3g Fat (18.2% calories from fat); 11g Protein; 18g Carbohydrate; 2g Dietary Fiber; 22mg Cholesterol; 470mg Sodium. Exchanges: 1 Grain (Starch); 0 Lean Meat; 1 Vegetable; 0 Fat. Brown ground beef and onion in a nonstick skillet over medium heat. Stir in brown sugar and mustard. Combine all ingredients in slow cooker. Cover. Cook on HIGH 2-3 hours. If possible, stir several times during cooking. In a non stick skillet, brown beef, onions, and peppers. Combine all ingredients in a slow cooker, except rice. Cook on low for 5-6 hours. Stir in rice, cover and cook until rice is tender, about 15 minutes. In a 4 to 6 quart crock pot, combine chicken, carrots, onion, water, butter, salt, pepper and bay leaf; mix well. Cover; cook on low setting for 6 to 8 hours or on high setting for 3 to 4 hours. About 20 minutes before serving, stir gravy mix into crock pot. Remove and discard bay leaf. In a measuring cup, blend buttermilk and flour until smooth. Stir flour mixture and peas into chicken; mix well. Cover, increase heat to high; cover and cook an additional 25-20 minutes or until peas are cooked. Serve with rice or biscuits. NOTES: **You can use frozen bone in chicken thighs as well. Just turn up the heat to high for the first hour, then down to low for the remaining 6 hours. Before stirring in gravy mix, remove the skin from the chicken. The chicken will fall apart and meld nicely with the rest of the dish- just be sure to remove the bones before serving. Brown ground beef, drain if necessary. Mix all ingredients together. Place in crock pot and cook on high for 4 hours. Spray crockpot with non-stick cooking spray. Place chicken on bottom of crockpot. Pour broth over the chicken. Mix together the stuffing and soup. Place on top of the chicken. Cook on low for 7 hours. Spray the crockpot with cooking spray. Add the chicken breast. Sprinkle with taco seasoning. Top with salsa. Cook on low for 6-8 hours. When ready to serve, remove the chicken from the pot. Place about 2 tablespoons cornstarch in a small amount of water. Stir well. Stir the cornstarch mixture into salsa sauce. Stir in ¼ cup sour cream. Heat a large skillet over med. heat. Add beef, onion, and garlic. Cook until meat is done or about 5-7 minutes. Stir in crushed tomatoes, tomato sauce, salt, oregano, basil, and red pepper flakes. Simmer 5 minutes. In med. bowl stir together ricotta and 1c. of mozzarella. Spoon 1/3 of beef mixture into a 5 qt. slow cooker. Break 3 lasagna noodles in half and place over beef mixture. Top noodles with 1/2 of ricotta cheese mixture. Repeat another layer and finish with remaining 1/3 of beef mixture. Cover slow cooker and cook on low setting 4-6 hours. Remove cover. Turn off heat. Season to taste if desired. In a small bowl combine remaining 1/2 c. mozzarella and parmesan; sprinkle over beef mixture. Cover and set aside until cheese melts and the lasagna firms up, about 10 minutes. In skillet, brown ground beef with garlic and pepper. Drain. Combine cooked meat and remaining ingredients in crock pot. Mix well and cook on low 2-3 hours. 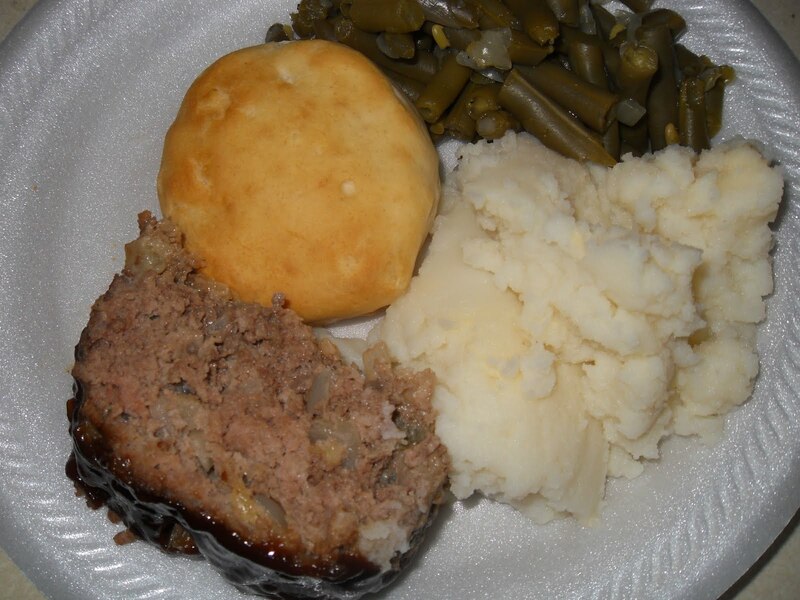 Serve on buns or over mashed potatoes for additional points. I am a mom to 4 wonderful kids. I enjoy cooking, crafts, and saving money. I work as a substitute teacher since all my kids have finally gone to school. Success is mine in 2009! January 7th, 2008: 323.8 lbs. January 15th, 2008: 315.8 lbs. January 21, 2008: 313.6 lbs. January 28, 2008: 306 lbs. February 18, 2008: 302.4 lbs. February 25, 2008: 299.2 lbs. March 3, 2008: 298.6 lbs. March 10, 2008: 293.2 lbs. March 18, 2008: 292.8 lbs. March 25, 2008: 289.2 lbs. April 1, 2008: 288.4 lbs. April 8, 2008: 286 lbs. April 15, 2008: 285.6 lbs. April 22, 2008: 283.6 lbs. April 29, 2008: 280.6 lbs. May 6, 2008: 278 lbs. May 13, 2008: 277.2 lbs. May 20, 2008: 275.2 lbs. May 27, 2008: 276.4 lbs. June 3, 2008: 274.6 lbs. June 10, 2008: 270.6 lbs. June 24, 2008: 267.8 lbs. July 1, 2008: 265.8 lbs. July 8, 2008: 263 lbs. July 15 , 2008: 263.2 lbs. July 22, 2008: 262.2 lbs. July 29, 2008: 260 lbs. August 5, 2008: 257.4 lbs. August 12, 2008: 257.2 lbs. August 19, 2008: 257.4 lbs. August 26, 2008: 251.8 lbs. My Bloggy Friends and other Lossers!